Carrot kosumbari is a very healthy and simple salad.Goes well as an accompaniment with lunch or dinner.I can relish this kosumbari just like that.My Amma prepares this often when there are lots of carrots at home and same tradition I too follow.Carrot is very good for health and is one of my favorite veggie.Recently I posted tasty Carrot milkshake. 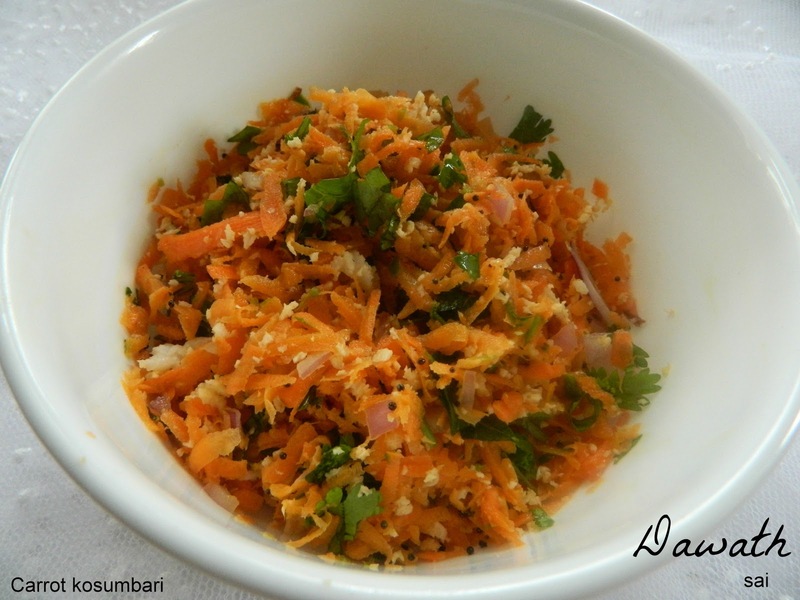 Mix carrot,salt,onion,minced green chilly,lemon juice,grated coconut in a bowl. Heat oil and temper mustard seeds and curry leaves and add to the carrot mix.